Disclaimer : I'll post about only those lipsticks which I believe in. This list will start in an increasing price order. These lipsticks are the dupes of Sleek Matte Me Ultra Smooth Lip Cream. They are super matte so I recommend using a primer/lip balm underneath. They are super long lasting and are amazing for the price.These are smudge proof and water proof as well. I'd recommend the shade 415. They might be a little drying though. 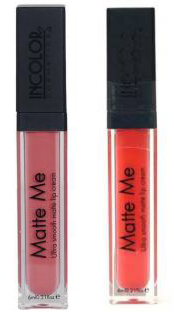 The iconic matte lipstick with perfect pop of colour.Incolor Matte Me Weightless liquid lip cream comes with a velvety matte finish that lasts all day long.Get your hands on the unquestionably smooth lip color that stays true for up to 8 hours, glides right on and gives that sophisticated silky matte finish that never feels dry and flaky. Loads your lips with plush and pigment rich colour. Nicka K is an affordable US based brand. They have an amazing collection of Matte Liquid lipsticks. Their True Matte range is quite raved about my youtubers and bloggers. Pucker up with this beauty called the Nicka K True Matte Lip colour! This exceptional liquid shade is the perfect marriage of a rich payoff of a matte lipstick, and the comfortable glide of a gloss. Saturate lips with one of 18 bold shades and let the color set for a flawless matte lip that lasts! Long lasting, matte liquid lip colour with rich pay-off. Perfect combination of gloss and matte. 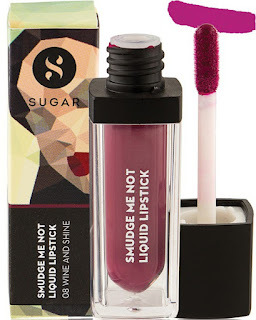 I'd highly recommend the shade "Turkish Rose" and "Santa Fe"
These liquid lip color is available in 17 different shades (in India) and has a huge range of colors starting from nudes to pinks to reds. Basically it has a shade for every skin tone. The LA Colours Matte Liquid Lip Color is smooth, easy to apply liquid formula that dries to a super matte finish. 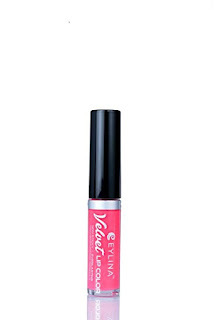 The long wearing formula is perfect for all day wear with minimal touch-up. These lip colors are from the brand Eylina, which is an Indian Brand. They are vevety in texture and are long lasting. They are available in 9 shades. Perfect your lips with the new, Vibrant shades of the new Eylina Velvet Lip Color lipsticks. These stunning velvet lip colors are ultra-light weight and come with a transfer proof formula that will get you ready to show off your pout in total style. These liquid lipsticks are available in 20 shades! The shade range is so pretty and very modern. They have a shade for every skintone.